April Showers continue with three modern baby shower games. 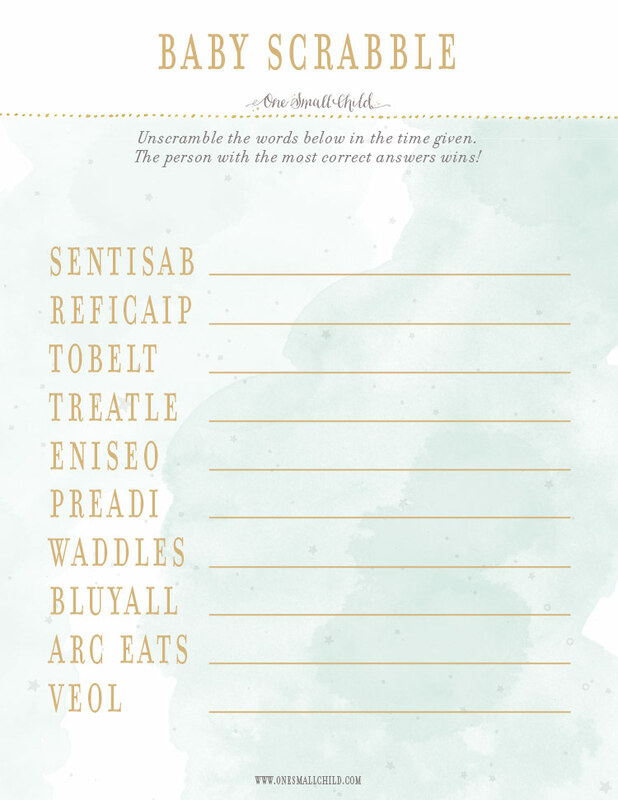 Did we mention each is a free printable? Enjoy! 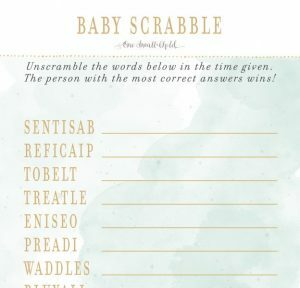 For the brainiac: Play this fun baby word scramble game. Unscramble each set of letters to reveal a newborn-related word. Don’t forget to copy down the answers below! Download your free printable here. For the social butterfly: What’s in your Phone? Guests rack up the points as they scour their phone for the things listed. The one with the most points wins! Download your free printable here. 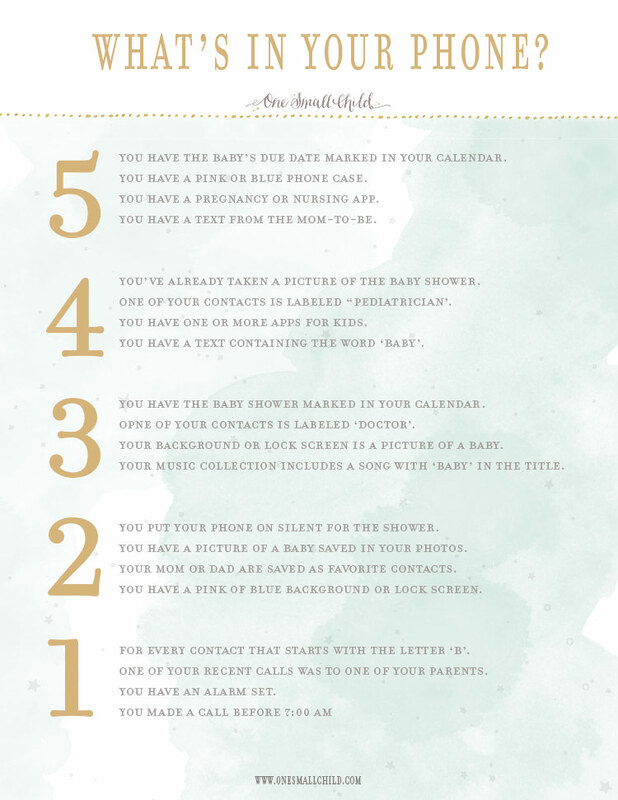 You have the baby’s due date marked in your calendar. You have a pink or blue phone case. You have a pregnancy or nursing app. You have a text from the mom-to-be. You’ve already taken a picture of the baby shower. One of your contacts is labeled ‘pediatrician’. You have one or more apps for kids. You have a text containing the word ‘baby’. You have the baby shower marked in your calendar. One of your contacts is labeled ‘doctor’. Your background or lock screen is a picture of a baby. Your music collection includes a song with ‘baby’ in the title. You put your phone on silent for the shower. You have a picture of a baby saved in your photos. Your mom or dad are saved as favorite contacts. You have a pink or blue background or lock screen. For every contact that starts with the letter ‘B’. One of your recent calls was to one of your parents. You have an alarm set. You made a call before 7:00 a.m.
For the speed demon: This Baby Name Race Game will have everyone laughing! Be the first to come up with 26 names for the baby-to-be. One for every letter of the alphabet. Download your free printable here. 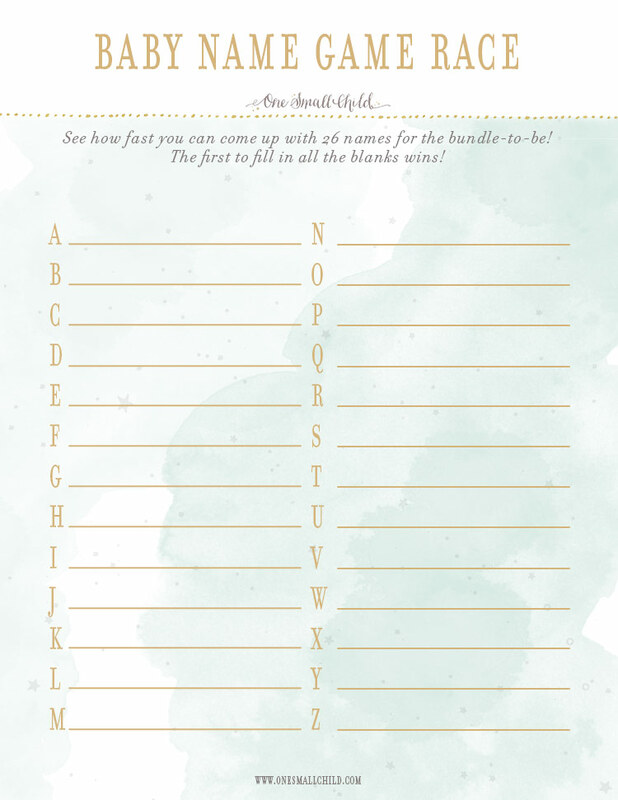 We hope you enjoy these free printable baby shower games and wish you a wonderful celebration!